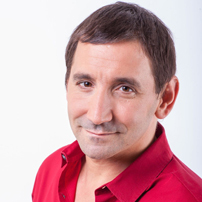 Elliot Kay mentor to small business as well as an international trainer, speaker, author of three books his most recent is called Power To Succeed. Elliot is the managing director of Strategic Brilliance Services – strategically working with business to grow their current businesses to 100k+ He is the commercial director of Pony Express Speakers Club LTD .
Elliot has worked in the USA, Europe, Africa, Middle East and the UK. He has currently focuses on working with speakers, coaches and trainer to build a long-term sustainable business through his proven strategies. Elliot has also worked personally with financial directors, property investors and many different types of business owners to strategically increase turnover and grow the business. He is the creator of Power To Succeed now know as The Confidence Breakthrough, a two day experiential training program. The seminar offers the steps to understand what success is for them and what could be holding them back. It wasn’t to long ago, he was lying in his flat in Acton wondering how he was going to pay rent and if he would ever find true love. Through both his strategy and confidence break through Elliot managed to turn his situation round, not only did he save his business and grow two more. He has found true love too. As part of giving back Elliot also gives his knowledge, time and insights to the Princess Trust where he is a mentor on the innovation scheme.